The Pineapple Stacking Wood Toy by Squiggle & Squeak is doubly awesome being both an educational toy and gorgeous decor piece! 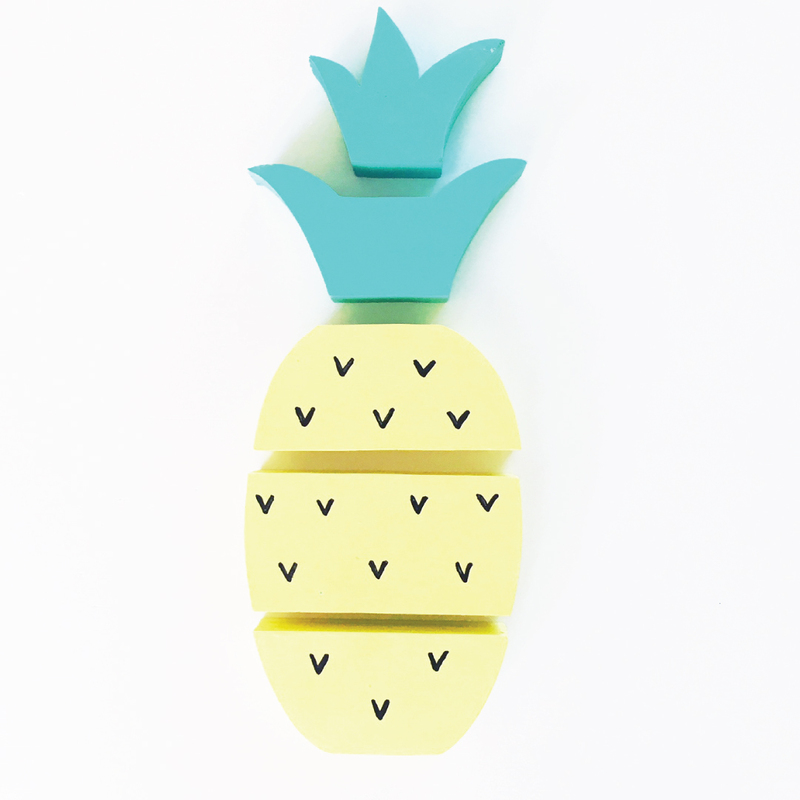 The delightful wooden pineapple has a soft yellow body and aqua mint crown leaves, with its black “thorns” included as separate stickers to decorate the fruit yourself. The unisex stacking toy is individually hand cut in Cape Town from the finest quality pine wood and sprayed with child-friendly non-toxic lead-free paint. This gives you peace of mind that your little one’s favourite new toy is absolutely safe to play with and even safe to chew on! Apart from being a beautiful and unique decor piece that looks great on a wall shelf, these stacking toys are brilliant for children to build their motor skills and coordination from a young age. Super cool functional decor!